Three-tier structure color sorter can effectively solve the problem of tea and dehydrated vegetables sorting problems. 360 ° + 4 cameras can effectively solve the problem of corn sorting accuracy. Annual Capacity is 5000 set machines. Apply to separating different grains like rice and millet on the basis of color. 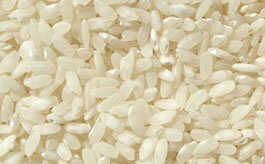 Rice of All Kinds, Thailand Long Rice, Long-shaped Rice, Black Rice, Glutinous Rice, Small Yellow Rice, etc. 1. Use Japan SMC Single Ejector to direct-spray nozzle has greatly eliminated the huffing resistance, reduced the air consumption, accelerated the response speed and made the operation more accurate and effective whist diminishing the output compounding rate. 2. Unique-in-the-industry light different color selection mode is efficient for the high-end color selection of light beige, speckled or darkened rice. 4. Newly-optimized operating interface is quite user-friendly. The “one-button auto” and “project back-up” functions help to reset the original parameters when misconduct happens. 5. Newly-designed mechanical structure provides favorable stability and applicability. There are two output mode, the large-chute mode and separated small-chute mode. Each mode is equipped with reinforced chutes that greatly reduce the output compounding rate. Large chute is convenient for installation, while small chute allows the user to change into “3-time color selection” model according to customer requirements. 6、Original LED cooling system has solved the high-temperature, aging and short operational life problems of LED light source due to long-period application, and ensured long operational life. CSG is a high-tech group company, concentrate on Color Sorter/Sorting Machine R&D, manufacturing, international trade and services. World Top 5 optical sorting machinery supplier. The most early company devotes R&D color sorter of China. Copyright © 2016.CSG All rights reserved.